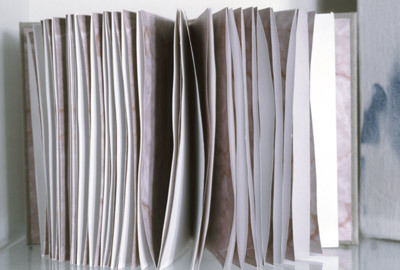 Smythe-sewn book using newspaper pages folded several times over. In each workshop I conducted demonstrations on the proper techniques for bookbinding. I prepared several items in advance to show step-by-step procedures in various types of binding: accordion, Japanese, concertina, smythe sewn. Each student experimented with different papers for use in their covers. Here the technique is Japanese. Another example of smythe sewn book. Other examples of Japanese binding. 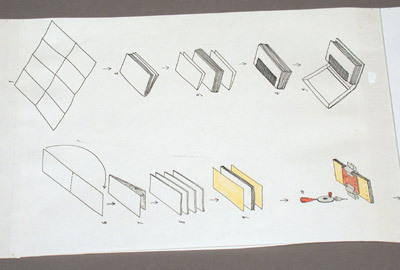 This diagram shows the differences between the Japanese binding (bottom) and the Western style binding (top). 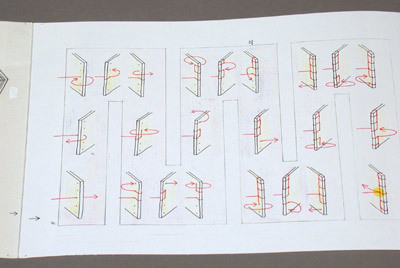 This diagram shows the correct path of the thread through the spine of the book in Japanese binding. 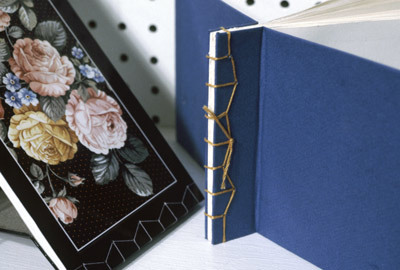 The enlarged area shows the proper way of securing the thread with a final knot in Japanese binding. A student demonstrates a variation of a concertina book. 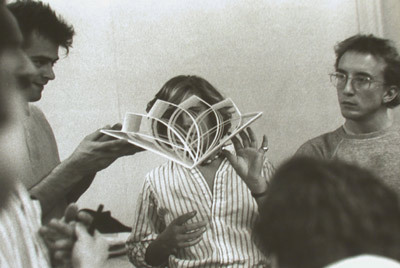 Jan Baker's printed books class, RISD 1985. 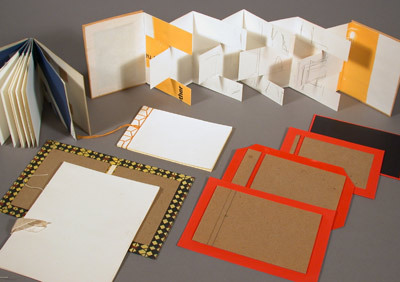 During virtually every type or design class that I taught at VCU I conducted at least one workshop on bookbinding. I was trained in the craft first in Urbino, Italy. 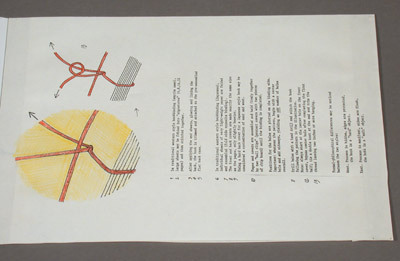 I was a teaching assistant for book artist Jan Baker at RISD in 1984-85 in her printed books class. I love books and I love making books. I introduced the students to the differences between the Japanese and the Western styles of bookbinding. 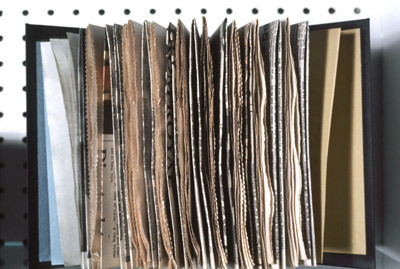 The first emphasizes the exterior of the book by exposing the threads and the spine. 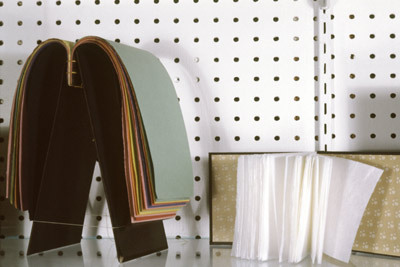 The second emphasizes the interior by hiding all the binding parts and the spine.